Step into the world of high fashion! 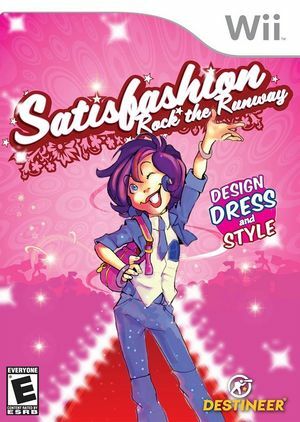 As young designer Grace Styles, you'll lead the team at the Satisfashion Design House on a journey to the top of the fashion industry. Create trends with the latest fashions, hippest models and funkiest makeup. Show off your hot new looks on runways across the globe and set the fashion world on fire! With each innovative new trend you create you'll help elevate Satisfashion to the top of the industry! The graph below charts the compatibility with Satisfashion since Dolphin's 2.0 release, listing revisions only where a compatibility change occurred. This page was last edited on 13 January 2018, at 13:10.